If you’ve been in the claims field for any period of time, you’ve probably heard about bad faith insurance claims. These types of incidents usually stem from an insured misinterpreting an adjuster’s actions, but can be caused by other reasons, as well. Cases of this nature are extremely detrimental to an insurer, both monetarily and to their reputation. For adjusters, being involved in or the cause of one can even cost you your job. Here are a few tips for keeping a bad faith insurance claim from happening to your company. 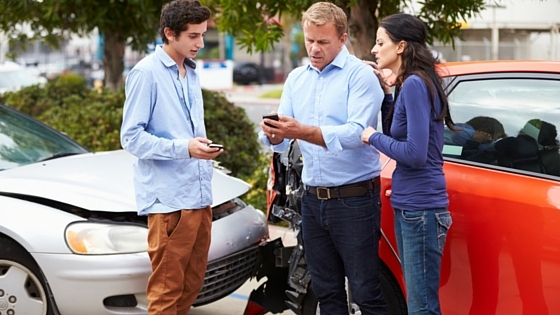 What Are Bad Faith Insurance Claims? In order to understand how to avoid a bad faith insurance claim, it is important to know what one actually entails. According to the simplest explanation, the process involves a tort claim filed by a policyholder against their own insurance company due to the firm’s poor or negligent acts. Typically, lawsuits of this nature run several thousand dollars, but can easily top the million mark. These allegations can range from something simple to something catastrophic depending on what occurred and how the insured responded to the incident. In most states, only a policyholder can file litigation. However, a few areas also offer third-party individuals the chance to file suit. In short, bad faith claims are considered very serious and have the potential of being very costly for an insurance company. If there was a single reason as to why many insurers get hit with a bad faith claim, it would probably be for failing to respond to a policyholder in a timely fashion. Furthermore, it is crucial to return all phone calls and email correspondence as reasonably possible. Sometimes just the act of making a quick call to let them know that nothing has changed is enough to make the insured feel informed about the process. To ensure you are protected, always keep documentation of contact attempts with details on the time, day, what was said, or if a voicemail was left. Another way to keep bad faith insurance claims from happening is by investigating each file you handle to the fullest extent possible. Many bad faith claims have been lost in the past by insurers simply because an adjuster failed to completely investigate a situation before making a decision as to whether to deny the claim or not. On an auto claim, all witnesses and passengers should always be interviewed if you have contact information and all possible avenues of explanation for the incident should be followed up. For a property claim, this could mean checking weather reports to determine if there was a storm in the area, ordering a police report for a theft, etc. One way many insurers have gotten burned is by an adjuster trying to bundle various sections of the claim. Essentially, this means only agreeing to settle the part of the claim that is reasonable and straightforward if the entire claim is settled as a whole. While this can be a little tricky if your departmental guidelines suggest you do otherwise, your best bet for avoiding a bad faith insurance claim is to tread lightly. If it seems like the insured is on board for this fashion of settlement, talk with your supervisor or manager to see whether or not they feel it is appropriate to do so. However, this is one of those situations that has a potential to go wrong quickly, so it is always best to review carefully before negotiating in this manner. It is also very important that you always look out for the best interest of your insured. After all, they pay premiums each month in exchange for having someone on their side in the event of an incident. Be careful what you say to vendors, adverse carriers, or anyone else in regards to your policyholder. There are many instances where offhanded remarks by an adjuster have caused problems that ultimately led to a bad faith claim. In addition to watching who you talk to, it is also important to be tactful during all conversations. Many past cases regarding a bad faith claims resulting from this sort of incident include those where an adjuster was insensitive to a grieving family by using hurtful or hostile language. While many bad faith cases are simply a misunderstanding between a policyholder and their insurance company, there are many that are appropriate for the circumstance. Help protect your firm by always adhering to the above mentioned tips.